Craftsmanship by John, Inc. provides design-build services for home remodeling and building custom homes in Houston. Our design-build services ensure continuity between the design and construction of your custom home or home renovation. Samples of our craftsmanship can be found in our gallery. 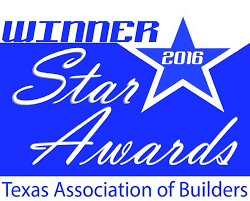 CBJ is an award winning company and won a 2017 Houston’s Best Prism Award in the category of Whole House Remodel, a Texas Association of Builders 2017 Star Award for Best Addition over $500,000 and was named National Association of Home Builders October 2017 Remodeler of the Month. 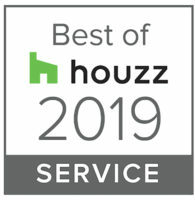 In addition, CBJ received a 2016 Star Award for Best Kitchen Renovation and a 2015 Houston’s Best Prism in the category of Whole House Remodel. 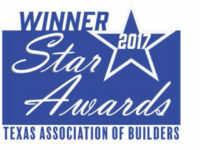 CBJ has been named the 2014 Remodeler Grand and 2012 Remodeler of the Year by the Greater Houston Builders Association. Our president, John Gillette, is a past president of the Greater Houston Builders Association Remodelers Council. The quality of our work is only matched by our service. We know that you want the best job done on your home or business, and that you want to get on with your life as well, so Craftsmanship By John strives to bring both of these to you. We welcome the opportunity to fulfill your vision for your new or home remodeling project. John Gillette opened Craftsmanship by John, Inc. in 1992 as a one man operation, determined to provide the quality he was taught with attention to detail as well as the customer’s needs and wants. The company has grown over the years but still holds true to its founding tenets.